You may have noticed that the screen blacked out for a few seconds during the main event of last night’s Monday Night RAW. RAW Women’s Champion Ronda Rousey teamed up with Natalya to take on Sasha Banks and Bayley. During the match, while Banks worked with Natalya, the screen went black for a few seconds before coming back on. 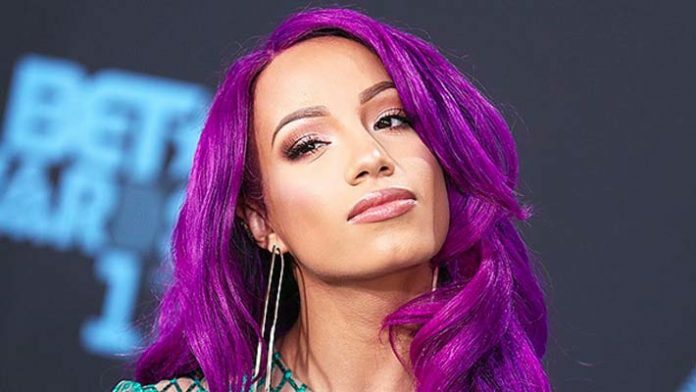 It turns out that a Sasha Banks wardrobe malfunction was to blame for the brief blackout. Banks’ trunks came down during the match, exposing her backside. For those watching satellite, however, the incident was not able to be blacked out in time. Sasha Banks is scheduled to face Ronda Rousey at the Royal Rumble pay-per-view this weekend for the RAW Women’s Championship.